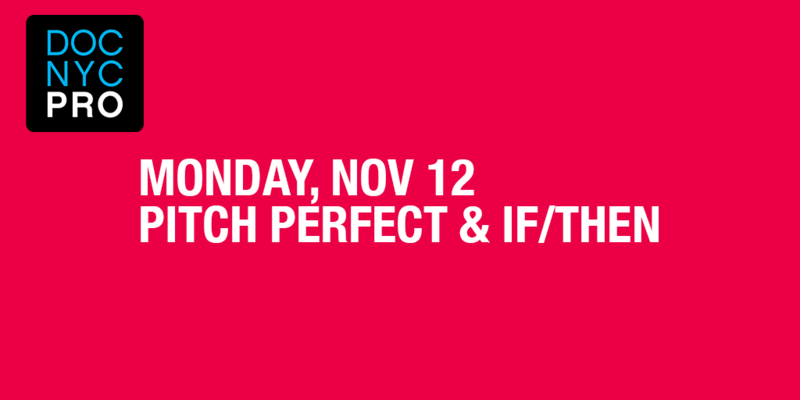 IF/Then and Pitch Perfect will take place at IFC Center. Twelve projects give their pitches to industry experts at this special daylong event at IFC CENTER. BREAKFAST (CINEPOLIS) 9:00AM – 10:00AM Open to all badge holders. Jannat Gargi – Vulcan Productions’ Head of Documentary Films gives her thoughts and advice on how best to pitch your documentary projects. Open to all badge holders on first-come basis. Moderator Elise McCave (Kickstarter) lays out the rules and best practices as six filmmaking teams pitch their work-in-progress doc features to a panel of industry experts – representing distributors, producers, sales agents, publicists and more – for valuable feedback. Co-presented by A&E IndieFilms. The industry participants for Pitch Perfect include Molly Thompson (A&E IndieFilms), Greg Rhem (HBO Documentary Films), Dan O’Meara (Neon), Patricia Finneran (Doc Society), Hayley Pappas (RYOT), Kelsey Koenig (Impact Partners). Pitch Perfect is co-presented by A&E IndieFilms. The winner of the pitch will receive marketing consultation for their film and finishing support on behalf of Wheelhouse Creative. society and our persistent conflicts within. the rapidly dwindling sea ice of the Arctic Ocean in this story of faith, resilience and global citizenry. On a desolate island ten miles North of Manhattan, inmates from Riker&#39;s Island Jail bury the unclaimed and unidentified dead of New York City. Now, the families of the descendants are demanding greater access to this prison for the dead. him in a science-rap competition, and in life. Produced by Chelsi Bullard, Hima B.
determined to make a difference. *Happy hour takes place at Cinepolis Chelsea. **The winners of the IF/Then Shorts American Northeast Pitch will be announced at this time.